Founder’s Choice Cabinetry is a local cabinet manufacturer based right here in Tacoma, WA. However, now you can buy Washington’s choice cabinets for homes across the United States. We’ve disrupted the traditional cabinet buying process by recognizing the need for a very high-quality cabinet at every level of its composition – then making it highly affordable. With an exceptional product, a dedicated support staff, and competitive pricing, we lead our industry in producing Washington’s choice cabinets. As a family owned, local business our dealers are our valued partners and we provide an array of marketing materials and support specifically designed for them. Founder’s Choice brand cabinetry has been Washington’s choice for cabinets since 2005. 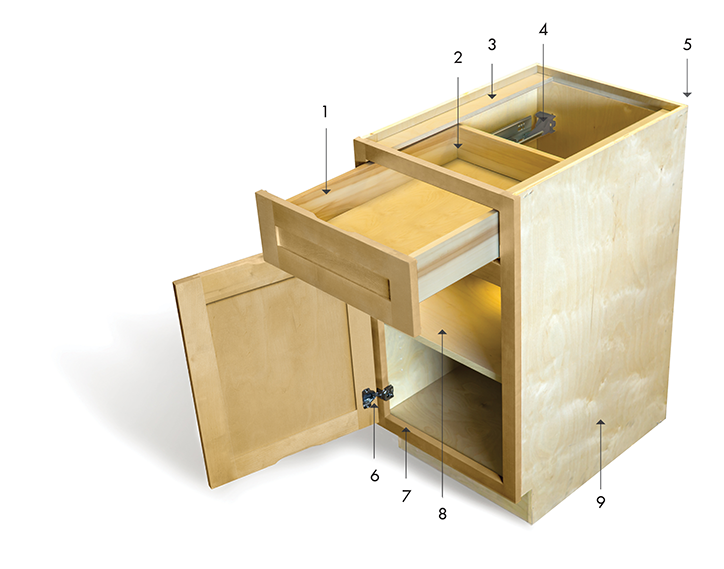 We’ve earned that title with our locally constructed cabinets that are built right here in Tacoma, WA. We build each of our products with careful precision, and back them up with an industry leading warranty. Founder’s Choice offers two lines of cabinetry: our Select series and our Craftsman series. We are able to seamlessly blend the two lines together, allowing you to order only custom cabinets for a few necessary spaces and still take advantage of Select pricing for the rest. The Select series is a modular cabinet line built in Tacoma. We carry all the parts and varieties in stock for our most popular options, allowing for a quality product at a an exceptional lead time. Craftsman Series is a custom line that allows you to choose any doorstyle, wood species, stain or paint. Applying is easy and just takes a minute. Take advantage of our Dealer program today.